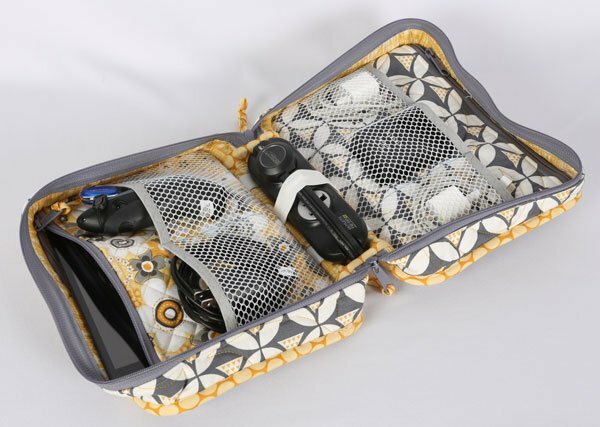 You're sure to find many uses for this versatile organizer. From chargers and cords to first aid supplies for an emergency auto kit, this compact case will organize an abundance of items. A padded handle makes transport easy and a full zippered closure allows the case to lie flat when open. Elastic attachment loops and plenty of pockets keep everything in easy reach. Gusseted mesh pockets provide good visibility and access. Two padded zippered pockets on the inside are perfect for an iPad mini or e-reader.